Work injuries can make even everyday tasks difficult to accomplish. They can hurt your ability to work, and cause emotional and physical pain. Prescribed medications can help to alleviate the pain, but it doesn’t address the root of the symptoms. 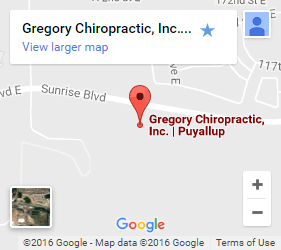 Work injury chiropractic services in Puyallup from Gregory Chiropractic can help you with pain relief. Find lasting recovery. Choose chiropractic care for your work related injuries. 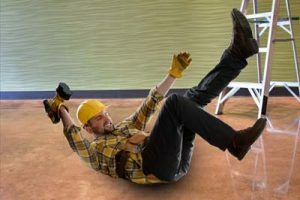 Manual adjustments and motion therapy – After a work-related accident, damage can negatively impact your range of motion. Desk jobs often lead to lower back pain, and falls frequently lead to neck and spinal injuries. Adjustments help to re-align your spine, and motion therapy stretches targeted muscle groups. This can free tight muscles and restore mobility. Exercise therapy – Rehabilitation that utilizes exercise works on several levels. It helps to stretch and strengthen weakened muscle groups, and prevent damage in the future. This doesn’t just deliver relief, it’s also a preventative measure. Increasing the elasticity of muscle fibers reduces the chance of tearing and further injury. Massage therapy – Our massage therapists know a number of different techniques. Depending on the injury being treated, different methods are applied. These include swedish, deep tissue, medicinal, and more. We’ll tailor your massage to your particular diagnosis to heal your body and relieve your pain. Contact us today for work injury relief. Our chiropractic clinic delivers the care necessary for long-term recovery. A work injury isn’t a life sentence. Call or contact us today.